Blood Orange is generally a very productive citrus. It usually has quite dense foliage and makes for an attractive small fairly cold hardy tree. They grow steadily and you can see quickly if they need extra food or water. 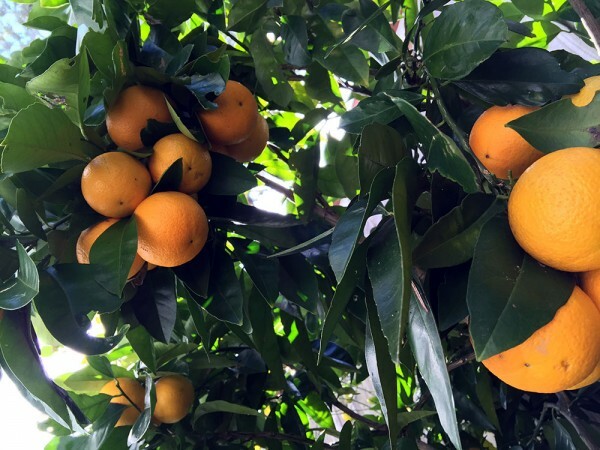 The fruit is beautiful to look at and has a fantastic intense orange flavour with a tangy hint of something else. 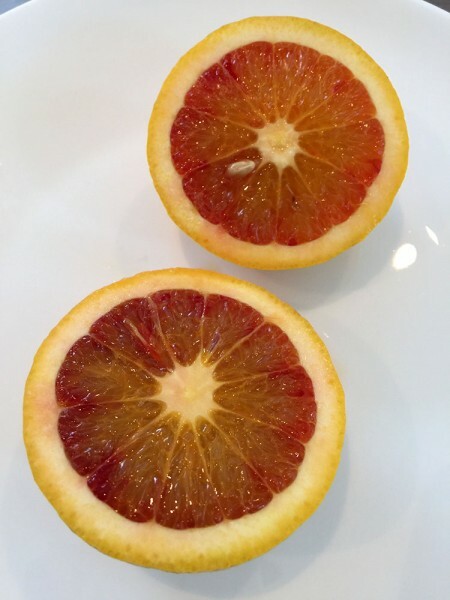 Most Blood Oranges I believe are based on the Valencia Orange strains but you can apparently get Navel based varieties as well – like the Cara Cara discovered in South America in the 1970’s. The ones i grow are not a named cross afaik but are on the small side and look very Valencia like inside and out. The internal colour of the flesh varies each year and gets better as they get older. So the first few years you may think it is a bad cross because there is little red in it. But they usually improve with time. I have a number of them along between the house and a boundary fence in a very sunny but wind protected area out side my backdoor. The heart radiates from the fence and house onto them. I use a standard regime of manure and heavy straw and lucerne mulch on them twice a year in spring and autumn. And they get lots of love with the water during summer – but the heavy root area mulch really helps with this and during winter they need to be checked only very few weeks. They really do crop heavily and it is best to leave them on the tree into mid winter cold if you want them to fully colour up on the outside and inside. It seems that the cold – as it does with the orange ripening outside of the skin – make for more intense colouring inside. A citrus that is well worth a try! 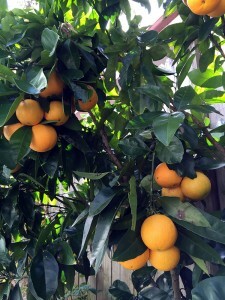 They are excellent in every culinary situation you want to use citrus for – really nice juice, flesh and rind. You don’t waste anything!. They make a spectactular addition to a dessert and are very nice dried or in a syrup. They are nice in salads – especially in the traditional mix of Mint, Orange and Dates.